December 30th, 2017 – Activatar, a new iOS app based platform hosting curated media art projects, presents its second monthly exhibition January 1, 2017, featuring artists group Channel TWo, Chris Doyle, and artist Viktor Timofeev. Activatar offers a new way to access and engage media art and artists through monthly exhibitions. The app is free to download and all projects are playable and fully contained within the app. 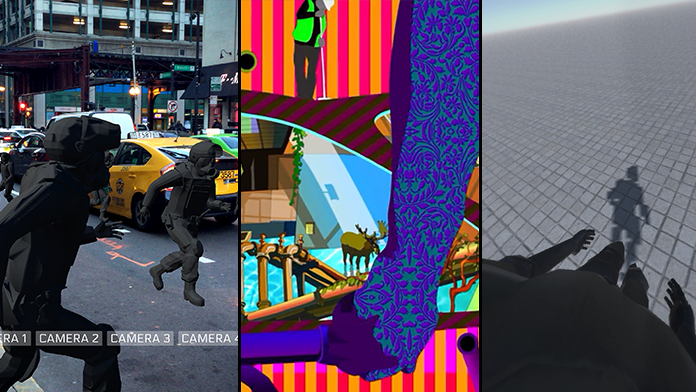 At the beginning of each month, Activatar will host three new artist projects working with augmented reality, virtual reality, videos, audio-based projects, video games and more.